MEGA Recruitment 2018 Notification is out for 17 General Manager, Additional General Manager, Deputy General Manager Vacancies. On this page, we are providing complete details about MEGA Recruitment 2018. The Metro Link Express for Gandhinagar and Ahmedabad is ready to hire skilled people for 17 GM, AGM, DGM Vacancies. Candidates who are interested in applying for MEGA Vacancies 2018 they have to grab this chance and submit the application form before 31st January 2018. Moreover, the complete information such as Post Wise Vacancy Details, Education Qualification, Application Fee, Selection Process, Age Limit, Age Relaxation, Important Dates, Important Links information is clearly mentioned in the below section. So, interested candidates can scroll down this page and refer the MEGA Recruitment 2018 data. Job Seekers who are preparing for Government Jobs the MEGA Recruitment 2018 is the best career opportunity for the candidates. While coming to the important dates. Interested candidates can refer this MEGA Job Notification 2018 and apply before 31st January 2018 through online mode. Contenders who have done their B.E/ B.Tech in Electrical, Civil, Computer Science, Electronics, Mechanical, Electronics & Communications from any recognized University or Institute with minimum experience in the relevant field are eligible to apply for MEGA Recruitment 2018. People from Gujarat State can enhance this excellent opportunity. In this section, we are providing complete information on MEGA Vacancies 2018. As per the news, the Metro Link Express for Gandhinagar and Ahmedabad officials are receiving online application forms until 31st January 2018. To help the applicants we are providing complete information in the below section. Also, applicants can visit the official website of Metro Link Express for Gandhinagar and Ahmedabad and check more details. Aspirants who are looking for Gujarat Government Jobs they have to use this chance and apply for MEGA Recruitment 2018. The applicant’s maximum age limit should be 65 Years. The upper age relaxation for SC/ ST/ OBC/ PWD/ PH candidates is as per government norms. As we all know that every year the MEGA officials are releasing multiple vacancies. This year also the Metro Link Express for Gandhinagar and Ahmedabad officials are recruiting talented candidates for General Manager, Additional General Manager, Deputy General Manager Vacancies. Interested candidates can apply for MEGA Recruitment 2018 before 31st January 2018. The mode of applying the application form is online. To recruit the brilliant candidates for GM, AGM, DGM Positions the officials are conducting interview round. Based on the applicant’s performance in the selection rounds the MEGA officials are recruiting the candidates. Connet to our website SarkariRecruitment.com regularly and refer more job notifications. The Metro Link Express for Gandhinagar and Ahmedabad is inviting online application forms. Those who are eagerly looking for Government Jobs in Gujarat State must grab this chance and apply for MEGA Recruitment 2018. Once refer the notification and pay the application fee. To appoint the candidates for 17 posts the Metro Link Express for Gandhinagar and Ahmedabad is conducting interview round. Candidates are requested to refer the official web portal of Metro Link Express for Gandhinagar and Ahmedabad www.gujaratmetrorail.com. This is a golden chance for the candidates who are suitable for MEGA Jobs 2018. The selected candidates will get attractive pay scale as per officials norms. 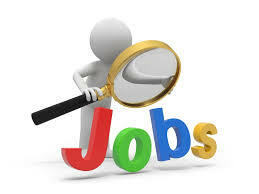 Suitable job hunters can check the entire details and fill the online application form. Therefore all the MEGA Recruitment 2018 Notification details is completely given here. For more details check the official notice which is dropped at the edge of the article. Candidates who are interested in General Manager, Additional General Manager, Deputy General Manager Vacancies must apply before the closure date. Applicants must complete their B.E/ B.Tech in Electrical, Civil, Computer Science, Electronics, Mechanical, Electronics & Communications from any recognized university or institute with minimum experience in the relevant field. The applicant’s maximum age limit is 65 Years. For SC/ ST candidates the age relaxation is 5 years. For OBC category people the age relaxation is 3 years. For Persons with Disabilities, the upper age relaxation is 10 Years. The Metro Link Express for Gandhinagar and Ahmedabad is conducting interview round for the applied candidates. Applicants have to pay the prescribed application fee as per the norms. The Starting Date To Fill the Online Application Form: Started. The Closing Date For Submitting the Online Application Form: 31st January 2018. Visit the official website of Metro Link Express for Gandhinagar and Ahmedabad www.gujaratmetrorail.com. On the home page find for MEGA Recruitment 2018 Notification. Now check the details in official notification. After checking the eligibility criteria candidates who are suitable for GM, AGM, DGM Vacancies must download the application form. Now applicants must fill the form with correct details. Pay the application fee. Once verify the given details. Hope the above given MEGA Recruitment 2018 Notification information is helpful for you. Stay tuned to this web page and get regular updates. We suggest all the candidates check the results on Sarkari Result.